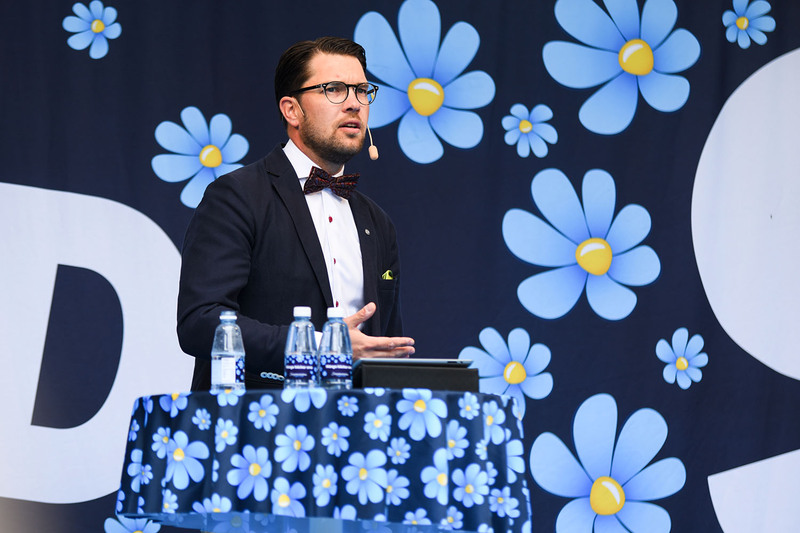 Jimmie Åkesson, leader of the Sweden Democrats speaks at a party meeting. Ahead of the European Elections which will take place on the 26th in Sweden, the country represents an important target for extremists and the possibility of foreign interference aiming to destabilise the Swedish democracy is a concerning problem. The Swedish Radio News reported on April 3 that the Swedish authorities are studying methods to protect the EU election from foreign interference. Since there is enough experience from the general elections in 2018, the possibility of organised cyber attacks and of spreading ‘fake news’ in favour of the far-right is too high. Mikael Tofvesson, the head of operations for the Civil Contingencies Agency said on Wednesday that several state agencies are mobilised. On April 4, a new poll conducted by pollster Skop suggests that the Sweden Democrats are on the rise at the expenses of the liberals. Social Democrats are first with 25,7% while the Moderates second with 17,7%. Third comes the far-right Sweden Democrats with 15,1%. The Cristian Democrats (KD) doubled their influence since 2014. At the end of March the KD announced that are seeking new partners in Riksdag (the Parliament). Ebba Busch Thor, the leader of the KD, said her party wants to talk to all parties, including Sweden Democrats.